On Recording ‘Free Advice For Sale’ – Vinyl EP Coming Up! 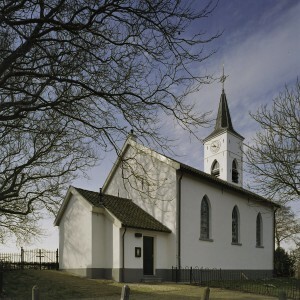 This summer, I took a couple of songs and some recording equipment to an idyllic little white chapel in Holysloot. The idea was born to put three songs on a 10″ vinyl record after I had written a few songs that were a little darker than usual for me, more along the lines of ‘The Reckoning‘. 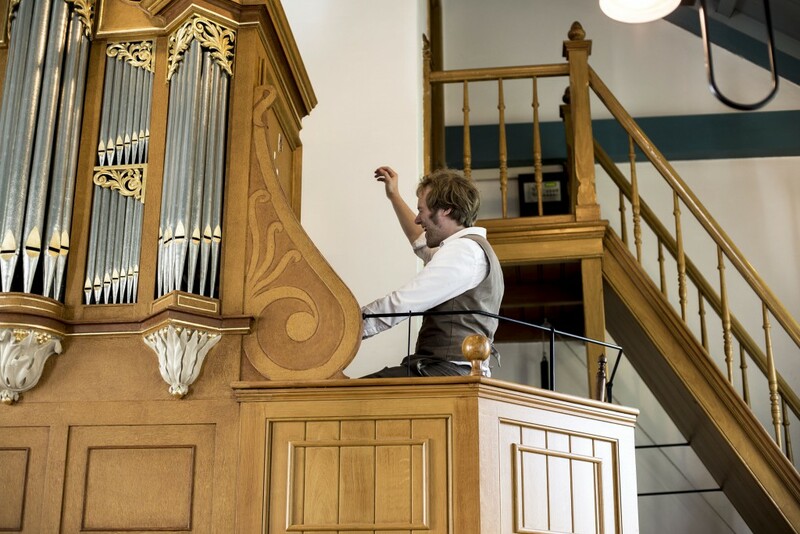 With overarching themes of repression, religion and freedom, not to mention the fact that I wrote one of the songs specifically for this type of church organ, it made sense to record them in a little chapel where I was asked to perform back in 2015. The church in Holysloot features a beautiful antique Van Giessen organ built in 1730. It is still operated by bellows, which means it’s a living, breathing instrument with a naturally wobbly sound. The keys were pretty uneven after centuries of wear and tear which made it a bit of a challenge to play, but the warm and subtle sound was totally worth it. Unfortunately, the church groundskeeper wasn’t aware that there was a recording session going on and decided to mow the cemetery lawn during the first take. It was quite funny but somewhat frustrating. We were, after all, recording live on a tight schedule. The next song we recorded will take up the entire B side of the 10″ disc. It’s a lengthy, high-concept ballad, sung from the point of view of an old piece of wood, beautifully accompanied by Mirte de Graaff on an old piece of wood a violin. I’m really proud of this one. It’s one of those songs where the melody is both instantly familiar and brand new. It clocks in at almost eight minutes, though, so I hope it won’t be stretching people’s attention span too much. Finally, I had written a song about a refugee with a crisis of faith on piano. It’s haunting and more than a little sad. 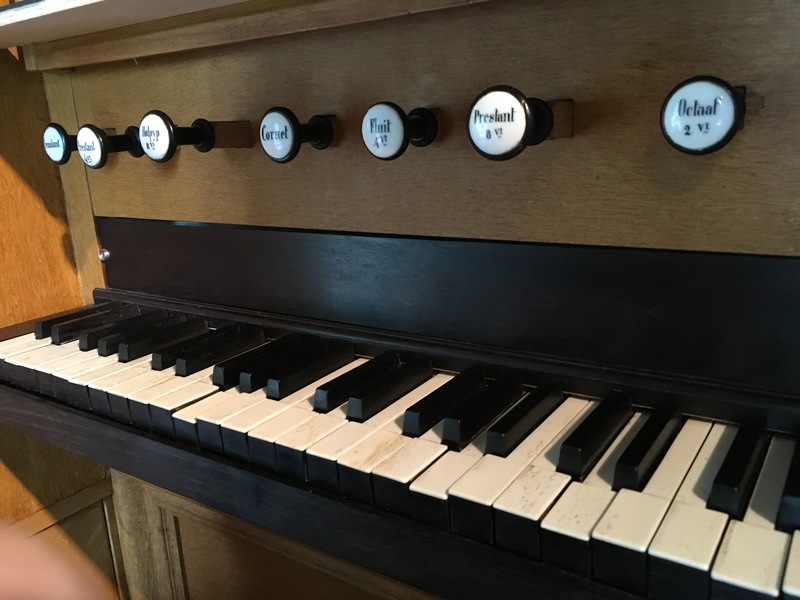 The piano in the church was slightly out of tune which made me anxious at first. After playing it through, it turned out to be a blessing in disguise: the subtle dissonance really added something to the disturbing nature of the subject matter. As we speak, the vinyl is being pressed and everything has been sent to iTunes, Spotify and your digital vendor of choice so you’ll be able to hear the results in about three weeks, when I officially release the record during a concert in the ‘Oostzijderkerk’ near my home on the 23rd of october.